If you’ve dined in a Japanese restaurant, you’ve most likely had miso soup. We have it just about every day in Japan… and I continue that tradition with my son, here in the US! To keep it interesting, we switch it up every now and then with different ingredients including: deep fried tofu, mushrooms, daikon, fish, and clams! Sometimes I add a scoop of white rice in the soup to make it heartier (it’s still one of my son’s favorite between-meal snacks!) … and now that I’ve cut back on rice, I add extra tofu in mine to keep me satisfied! White miso (shiro) – made from fermented soybeans and rice. This is the mildest has a lightly sweet flavor. Yellow miso (shinsu) – made from fermented soybeans and barley. This one is slightly saltier than the white miso. Red miso (aka) – made from fermented soybeans and barley. It’s the saltiest and strongest flavored miso. My personal favorite is the “awase miso” which is a combination of the white and red miso. I love how it perfectly balances out the mildest and strongest flavors! 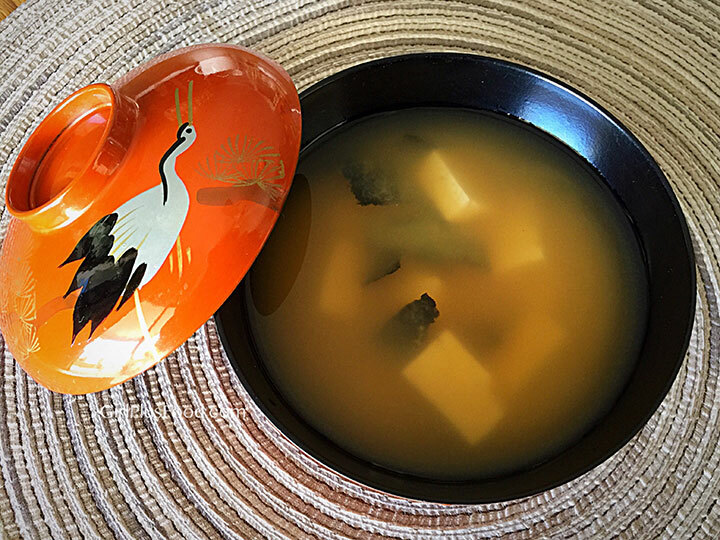 Making miso soup is simple and quick! Ready? Vegan alternative: Replace water with vegetable broth and omit dashi granules. 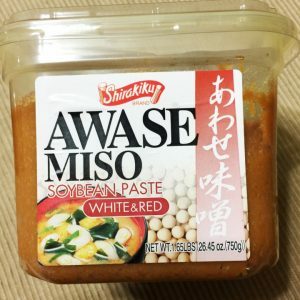 Gluten Free alternative: Use white (shiro) miso made with soybeans and rice. Place water and dashi granules in medium saucepan. Bring to boil and stir until dashi is dissolved. In the meantime, place miso in small bowl, add a small amount of hot water and whisk until smooth. Set aside. Add green onion and tofu to the pot of water/dashi mixture and cook for 5 minutes. Remove from heat, add miso mixture, and stir to combine. Taste and add more miso if desired. Serve warm and fresh! Do not boil the soup once you add miso to avoid losing flavor. Previous: Crispy Almond Crackers – Gluten-Free, 4 Ingredients! I love miso soup! Thank you for the recipe and the gluten free alternative you shared on IG!